I’m a huge NBA fan and diehard Chicago Bulls supporter. 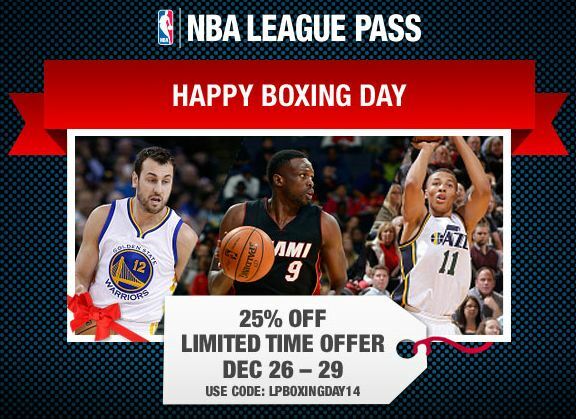 I’ve been watching NBA games online everyday during the holidays using League Pass. I’ve actually just finished watching Bulls vs Pacers game which the Bulls narrowly won. 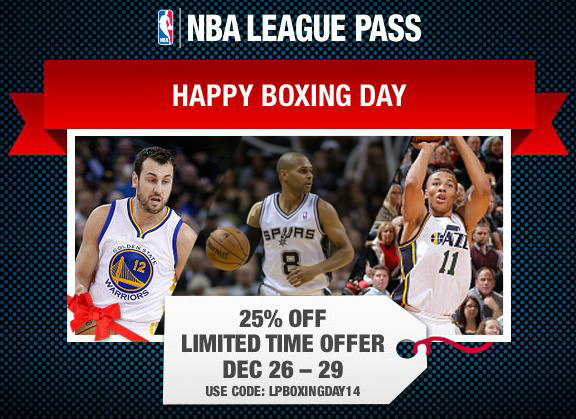 Over the past few days on the NBA League Pass website I noticed there is a Boxing Day ad. 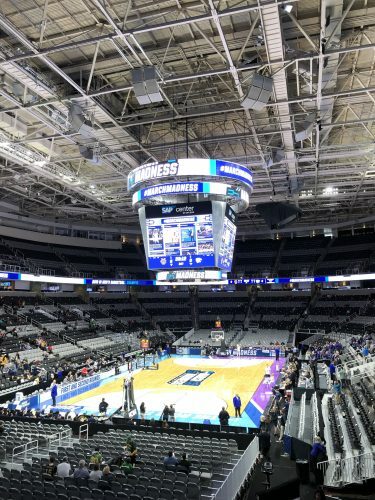 It has a 25% discount for a League Pass subscription. Its pretty hard to miss it because its one of those annoying pop up ads that takeover the whole screen. I couldn’t watch league pass without closing the ad. This is the ad that I saw. Boxing Day, if you are not familiar with it, is a day that is well known in Australia for when shops go on sale with deep discounts post-Christmas. The tradition behind it is that servants and tradespeople would receive a “Christmas box” gift from their employer. This Boxing day ad offers a 25% discount during the Boxing day sales period. On closer inspection of the ad I noticed something wrong with it. The player on the left hand side is Andrew Bogut, starting centre for Golden State Warriors. The player on the right hand side is Dante Exum, rookie guard for the Utah Jazz. Bogut and Exum are Australian players. Who’s the player in the middle? In the middle is Luol Deng, small forward for the Miami Heat. Deng is a British player, originally from Sudan and grew up in Egypt. Deng represents Great Britain in international competition. I know this because I am a Bulls fan. Deng played 10 seasons with the Bulls. 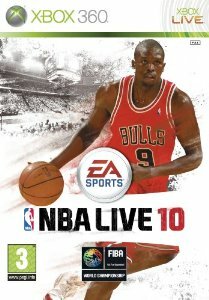 In fact, Deng is the cover athlete for NBA Live video games in the UK. 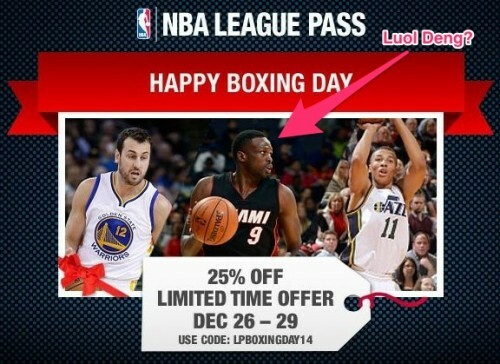 So Luol Deng in the Boxing ad for Australia looked out of place. I suspect what has happened is that the NBA has boxing day promotions for different countries. Based on your IP address, it would work out your location and serve you one of their localised Boxing Day ads. According to Wikipedia, Boxing Day is celebrated in United Kingdom, Barbados, Canada, Hong Kong, Australia, New Zealand, Kenya, South Africa, Guyana, Trinidad and Tobago, Jamaica and other former British colonies. I assume that they used a picture with Deng for the UK. I assume that someone has made a mistake putting Deng in there or just added two Australian players next to him to localise it for the Australian market. So what I have done is redesign the Boxing Day ad for the Australian market with the help of one of our designers. The most well known Australian player other than Andrew Bogut is Patty Mills. He’s a guard for the San Antonio Spurs and played on last season’s championship team. See the original ad and the new version below. This is the new one with Patty Mills, Australian player replacing Luol Deng, British player.